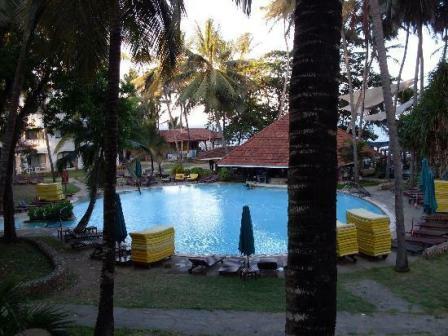 Baitil Aman Guest House is a very nice hotel on Lamu's Shela beach. It is not a far walk from the empty 12km stretch of beach that is Shela. It is a beautiful old Swahili style building. We stayed in one of the top rooms and it was very large and had a lounger inside as well as a huge bed. There was always hot water when we were there and the views from the roof top were amazing. The welcome drink was a nice touch and the manager was very friendly, We were picked up from the hotel on time and taken by boat to the hotel at no additional charge. We were one of two couples staying at the hotel, and the manager was a bit too eager to sell us a dow trip, but that might just be because tourism has suffered these days. We really enjoyed eating in the restaurant at street level, there is a lot of activity and the restaurant on the roof is excellent. The fresh juices were delicious and we enjoyed having the roof top to ourselves at night and watching the stars. We were blown away by the incredible beautiful design of this very old townhouse in shela. and all of it appears to be incredible authentic swahili design. The house is very beautiful, the design touches a real treat, and the rooms themselves are gorgeous. The location is great: 5 min walk from the beautiful nearby beach and the great peponis restaurant / bar. The area in shela around the house is beautiful too. Only flipside is noise of mosque for 10 mins in the early hours but that's something you will quickly get used to - and adds to the experience. Highly recommend it. incredible value too. and very lovely relaxed staff - in fact the whole island is nice and chilled out people!